Security cameras can obviously be used in lots of different situations, such as keeping your home secure or keeping an eye out for shoplifters if you own a business. However, one of the places where there use is most important is at various government-related buildings, such as court houses. There are quite a few reasons why using security cameras is important in these types of atmospheres, and it is especially important to have cameras and an accompanying system that are up to date with today’s needs. Why are State of the Art Video Surveillance Systems for Government Buildings in South Florida Important? A lot of things happen in government buildings. For instance, some people go into these buildings in an upset mood because of something that has happened in court or something else that is going on in their lives. A lot of judges and other individuals who aren’t always well-liked by everyone also frequent these types of buildings, and their safety is very important. In many types of government buildings, there are a large number of different people who visit the building on a daily basis, making the area a bit more prone to terrorism or different crimes. Therefore, it is important to not only use surveillance cameras but also to use other forms of security and the most state of the art equipment that is available for best results. What Components are a Part of State of the Art Video Surveillance Systems? When you think of security camera systems, you probably primarily think about the actual cameras that capture footage. However, you might not think about the other components that actually make the security cameras work for this purpose. A digital video recorder is the first thing that you need to look at. Once you have the right digital video recorder, it’s a breeze to find cameras and other equipment for government use. Although you can find digital video recorders for surveillance camera purposs almost anywhere, not all of these systems are appropriate for the needs of government buildings. Therefore, you should look for a sturdy system that will stand up to the test of time, and you should also look for one that has plenty of features. Since you will probably need lots of security cameras in your government building, you will also need a digital video recorder that can easily hook up to multiple cameras at once. You might even need to invest in several digital video recorders in order to capture and record sufficient footage in order to keep your government building or other property fully under surveillance as it should be. Security cameras are obviously the next thing that you should look for. When searching for cameras for your government building, consider looking for models that are wireless; they are much easier to install and to move around when necessary, and there is less of a chance of someone tampering with them because there aren’t cords and wires run through the ceiling and walls of the government building. You should also look for cameras that are able to capture high quality picture and that are able to see in all lighting conditions, such as when the government building is closed and dark inside. If you will be using security cameras outside the government building as well, you should make sure that they are able to withstand the elements and that they are able to capture footage both during the day and at night. Having monitors in place is an essential so that you can watch the footage from all of your surveillance cameras. You might need multiple monitors if you have a large number of cameras, and make sure that your monitors are large enough that you can see all of your footage well and that they are clear enough that you won’t miss any small details, such as faces, when you are watching your footage. Does Your Government Building Need a New Surveillance Camera System? If you have been working out of the same government building for a long time, you might be in need of a new surveillance camera system. A lot of government buildings have been using the same cameras and other system components for many years, but technology has changed a lot in these days. For instance, if the cameras in your government building are in black and white, you should certainly consider replacing these units with cameras that are in full color and that provide a better picture. A grainy black and white video will make it difficult to see anything in your footage, but a high-quality, full-color video will work well if you want to catch small details or make sure that you see everything in the footage. 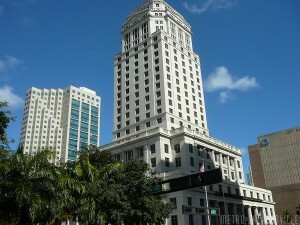 Where Can You Purchase State of the Art Video Surveillance Systems for Government Buildings in South Florida? A lot of different places sell security cameras and surveillance camera systems and equipment, but not all of the equipment that you find will be sufficient for government use. Instead of springing for a cheap and unpredictable system that might not provide the surveillance that you need and that might not hold up to the test of time, you should look for a system that comes from a reliable dealer, particularly someone who specializes in selling this type of equipment. Luckily, there are companies out there that are highly experienced in helping government buildings and the people who work in them to find the right surveillance camera systems for their needs. Working with one of these companies will allow you to choose from the best possible equipment and to gain helpful advice and experience from professionals who have done a lot of work in government buildings and other related areas. If you need help choosing the right system for your needs, aren’t sure how to decide between a couple of different systems or even if you need help in installing your system or making it work correctly, you can always get helpful advice from one of these professionals. How Do You Install State of the Art Video Surveillance Systems for Government Buildings in South Florida? If you have a bit of time on your hand and a little bit of experience in dealing with electronics, you might be able to install your own surveillance camera system in a government building. This will be a lot easier if you have a system that is wireless and up to today’s standards. In order to install a surveillance camera system in a government building on your own, you will need to first assess the area and determine where cameras are needed. For instance, you will probably want to install cameras near the entrances and exits of the court house or other government building, and you should make sure that they are placed sufficiently inside the building. Placing them in areas around the outside perimeter of the building and in the parking lot is also a good idea. Once you have chosen where you are going to install the surveillance cameras in and around your government building, you can set to work in installing and positioning them. This is a breeze if you have invested in wireless cameras, but it can take a bit more work if you have cameras that have cords and wires. Regardless of the type of security cameras that you have, however, you will want to take the time to set them up properly and to adjust them as needed so that you can get good footage. It might take a few minutes and tries in order to get each camera in the right place, but take your time now so that you won’t have to worry about missing any important footage later. Next, set up your digital video recorder and make sure that it is turned on and receiving video footage from the surveillance cameras properly. Now is a good time to take a look at all of the footage so that you can make sure that you don’t need to adjust your cameras or anything, and you can also spend a little bit of time reading the manual and playing with the features so that you know how to use the digital video recorder properly. Also, make sure that it has a good connection to the monitor and that the monitor is large and clear enough for you. What Other Security Measures Can Be Taken in Government Buildings? Installing state of the art video surveillance systems in government buildings is a great start to good security. Simply having the cameras in place all over the government building will frequently be enough to intimidate those who had bad intentions, and the cameras will serve well for providing proof in the event that something does happen inside the government building or elsewhere on the property. Then, this proof can be used to not only capture someone who has committed a crime or caused some other type of problem on the property, but it can also be used to find evidence in order to find the individual who is responsible. Contact us today for a free consultation.